With our rapidly aging population, the incidence of heart disease is on the rise. This large influx of elderly patients is expected to adversely affect the numbers of heart disease patients needing care and healthcare costs are expected to increase as a result. The Choosing Wisely recommendations of specialty societies such as the American College of Cardiology, the American Society for Echocardiography (ASE), the American Society of Nuclear Cardiology and the Society of Thoracic Surgeons, ensure that only necessary care is provided. Order or not-what’s a physician to do? potential exposure to medical liability by not ordering the tests. One thing is clear, however, all testing comes at a significant cost to the health care system. If certain tests can be avoided, patients would benefit through a savings of time and worry, and healthcare costs would be reduced. 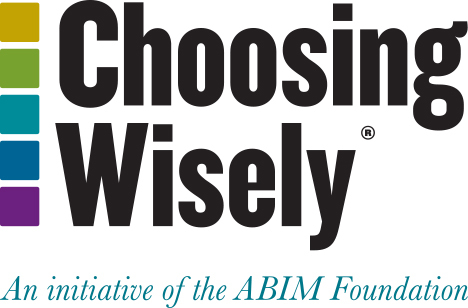 With this in mind and to aid physicians on the ground in their decision-making, the American College of Cardiology Foundation (ACCF), in conjunction with imaging subspecialty societies such as the American Society for Echocardiography (ASE), have published Appropriate Use Criteria (AUC) for selected patient indications for a variety of imaging modalities. To encourage the medical community to access and use these AUC guidelines, ASE developed a free Choosing Wisely-branded smart-phone application. The app assists practitioners in deciding when to use cardiovascular ultrasound by matching treatment scenarios with decision-making suggestions—noting where tests are “appropriate,” “inappropriate” or “rarely appropriate” for a patient’s cardiac symptoms to guide the clinician’s patient care. The app also provides plain-language suggestions to describe the medical condition and the reason(s) for imaging testing to the patient and includes access to other specialty society Choosing Wisely recommendations. “The app has found wide acceptance and has been downloaded more than 4,300 times since it was released in the fall of 2013. We hope that through this campaign will reach over 200,000 physicians,” says Irene Butler, Vice President of Health Policy at ASE. The funding to create the app was provided by the ABIM Foundation with support from the Robert Wood Johnson Foundation It is available for iPhones and Android phones and can be found by searching Echo AUC in the Apple iTunes or Google Play stores. Download it today!